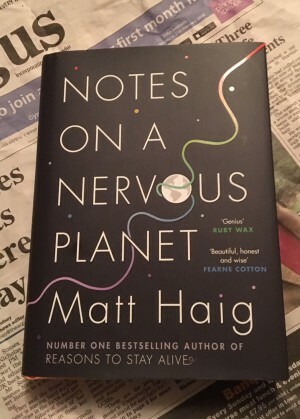 Notes On A Nervous Planet, by best-selling Brighton author Matt Haig, was released earlier this month. A follow up to 2015’s Reasons To Stay Alive, it’s looks at how the world messes with our head and how to survive it. Yesterday Matt Haig held his Brighton event for the book; I decided to take a look at the book. Can we just admire the cover for a moment? I think that the book is too similar to Reasons To Stay Alive; my first impression was “has this been written like this, to recreate the commercial success of its predecessor?” The structure is almost the same, in that it’s a collected bunch of fragments, similar to thoughts. But this changed the further I read in. As a reader, I’m very literal; I was initially frustrated at the introduction. It could do with sharpening a bit; it wasn’t an overview of the book, and neither did it say what the books about. But, if Reasons To Stay Alive is the ‘why’ we are in such a mess, then Notes On A Nervous Planet is the ‘what’. It’s what attitudes we need to change, what is impacting us, what needs to be done. We now need the ‘how’ in the sense of how to solve the problems identified. Maybe it could be a trilogy? The hypothesis surrounding technology is the most interesting. We hear, in relation to progress, the phrase the rate of technology. We could sit here all day discussing the actuality of the advancement of technology; but, how do you measure it? And what’s the impact? Some of the book is so, so relevant to today. ‘The Beach’, a fragment from the point of view of a literal beach, is a message to people going on holiday. Some people my age and older seem to only go to the beach, preening and pouting, to take photos for Instagram. Or, they’ll be worried about how they look-too fat, too thin, etc. But here’s a secret; no one is looking at you anyway. They don’t give a damn. The notable thing about this book is that Haig dispenses with the parental tone of ‘social-media-will-rot-your-brain’ that seems so culturally now. Instead, he has a mature, kind of edgy tone, balancing up viewpoints to reach well-founded conclusions. He’s the sort of author you could actually have a conversation with; why can’t we have him in charge at the moment? 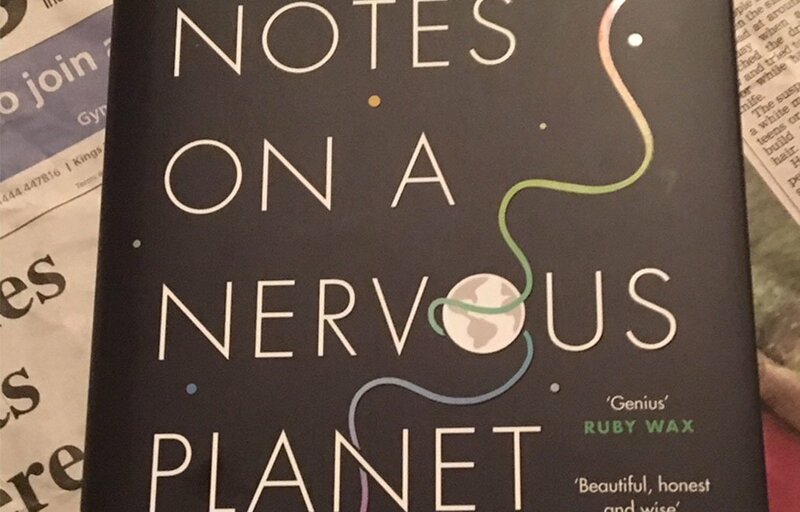 Not just for the internet age, Notes On A Nervous Planet is the book that we should all read now. As I finish, I’m reminded of a Tina Brown quote. Remarking about her latest book, she said that at the time people were stood on the lip of a volcano. But we’re doing that now; the question is, where do we go next? Words and image by Lydia Wilkins.